Parenting is a rewarding but tough job, as full of worries as of joys. Finding the right pediatrician to help you keep your child healthy can take some of that stress away. Pediatric Partners is dedicated to the wellbeing of children from newborns to college-aged young adults. We take care of routine appointments like wellness visits, immunizations, and physical exams, as well as in-office sick visits — including after hours and emergency care. 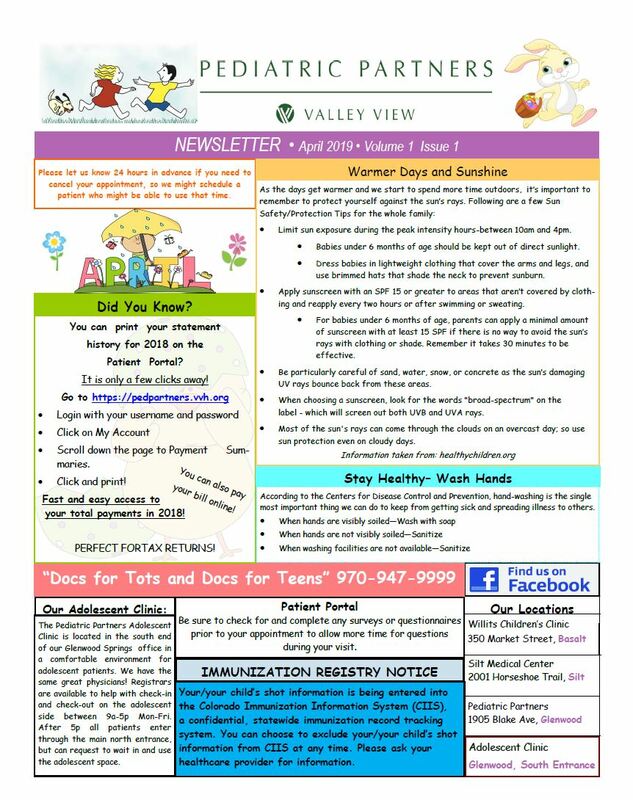 Should your child need any test or procedure that we can’t perform at one of our offices, our close relationship with Valley View Hospital makes scheduling, communication, and paperwork simple. 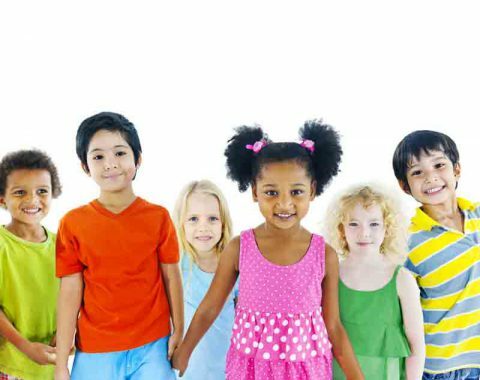 Though keeping your child healthy is our primary concern, we also make sure that we keep you fully informed, with all your questions answered and all of your concerns addressed. With offices in Glenwood Springs, Eagle, Silt, and Basalt, and extended evening hours, we strive to make keeping your family healthy as convenient as possible — giving you a little bit less to worry about. Monday through Thursday from 8 a.m. to 7 p.m.
Limited Saturday hours are available, 8:30 a.m to 11:30 a.m., for same-day sick visits. If you need to reach us after hours for a non-life threatening issue, we provide 24/7 on call service. Please call our office at 970.947.9999 and our answering service will direct you to the appropriate party.